When addressing financial matters in any manner on our website(s) or any other affiliated content, we’ve taken every effort to ensure that we have accurately represented our programs and their ability to improve your life. However, we do not guarantee that you will get any results or earn any money using any of our ideas, tools, strategies or recommendations, and in no way is our content a promise to or guarantee of future earnings. YOU EXPRESSLY AGREE THAT YOUR USE OF ANY CONTENT OR ADVICE OF TANYA PAGE IS AT YOUR SOLE RISK. 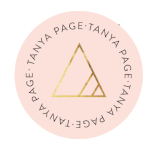 By purchasing any product and/or services of Tanya Page you accept, agree and understand that you are fully responsible for your progress and results from your participation and that we offer no representations, warranties or guarantees verbally or in writing regarding your results of any kind. You also understand that any testimonials or endorsements by our customers or audience represented on our programs, websites, content, landing pages, sales pages or offerings have not been scientifically evaluated by us and the results experienced by individuals may vary significantly. Any statements outlined on our websites, programs, content and offerings are simply our opinion and thus are not guarantees or promises of actual performance. We offer no professional legal, medical, psychological or financial advice. Tanya Page is not a licensed medical professional. The content on this site is for information purposes only and does not equal medical advice. Any and all health information is not intended to diagnose, treat, cure, or prevent any disease. Please consult with your physician, especially if you are on medication, have a medical condition, are pregnant, or suspect you could be pregnant. Any and all content on this website, or in any of Tanya Page's programs, courses, or books is meant for informational purposes only. The content does not equal medical advice. These statements have not been evaluated by the Food and Drug Administration. The information contained in or made available through our sites (including but not limited to information contained on videos, message boards, comments, on coaching calls, in emails, in text files, or in chats) cannot replace or be a substitute for the services of trained professionals in any field, including, but not limited to, financial, medical, psychological, or legal matters. In particular, you should regularly consult a doctor in all matters relating to physical or mental health, particularly concerning any symptoms that may require diagnosis or medical attention. We and our licencsors or suppliers make no representations or warranties concerning any treatment, action, or application of medication or preparation by any person following the information offered or provided within or through us. Neither we nor our partners, or any of their affiliates, will be liable for any direct, indirect, consequential, special, exemplary or other damages that may result, including but not limited to economic loss, injury, illness or death. You alone are responsible and accountable for your decisions, actions and results in life, and by your use of our content, you agree not to attempt to hold us liable for any such decisions, actions or results, at any time, under any circumstance.